Morgan was outstanding as the coordinator for our wedding in Chicago. She was involved in all of our little details, and super organized throughout the process. She has an incredible balance of professionalism but also a warm, friendly approach that made us really comfortable. She did a ton behind the scenes with our vendors that we didn’t have to worry (or even know) about, and for that, we are so grateful! Working with Morgan felt like working with a friend, and everything was really smooth! Could not recommend working with Morgan & Blue Fancy enough! My husband and I have nothing but fabulous things to say about Meredith and Blue Fancy. When we first met Meredith, it was almost as if we had an instant connection with her. She took the time to really get to know Brad and me, which showed through in her ability to execute on our vision, focusing on the important details and helping us find cost effective ways to make our dream wedding a reality. In fact, we even came in just under budget! Meredith eliminated almost all of the stress that can come with wedding planning. We simply loved our experience with her. We worked with Emily on our Chicago-based wedding in August. We got engaged in April and contacted Blue Fancy a day after. They were quick to schedule a consultation, and we were quick to hire them. Despite planning a wedding in only four months, we pulled off a fantastic celebration, and Emily was a huge component to our success. She was adept at contacting many vendors, juggling multiple communication streams, and keeping us updated in the process. 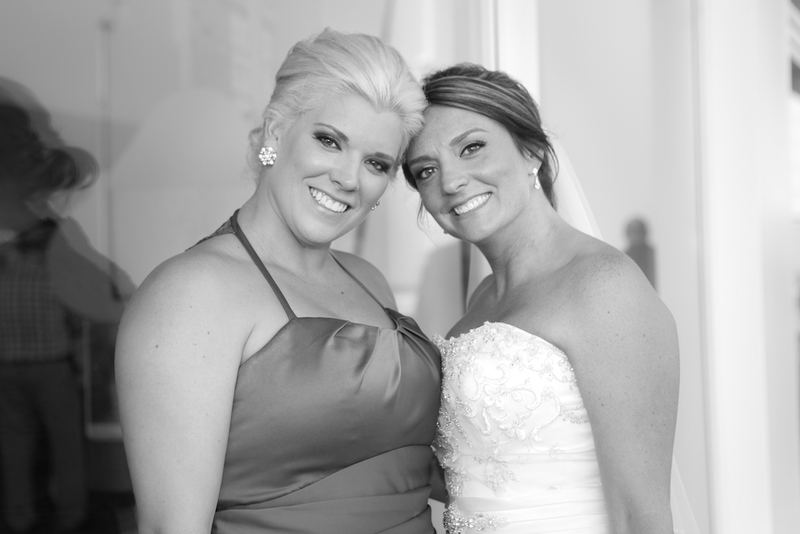 She has great energy, good communication skills, and great insight into what it takes to throw a fabulous wedding. Jordan joined Emily in day-of coordination, and we were also impressed with her proficiency. We are very glad we invested in Blue Fancy’s Sapphire Blue package. Aside from marrying my wonderful husband, hiring Morgan from Blue Fancy was the best decision I made during the whole wedding process. The weekend of the wedding Morgan was a total rockstar! She went above and beyond and totally exceeded expectations. Because of Morgan’s planning and calm demeanor I was able to be completely relaxed and stress free for my wedding, which doesn’t come easily for me. I whole-heartedly recommend Morgan and Blue Fancy. Working with Morgan as our wedding coordinator was an absolute joy and huge blessing in our life! This woman ran the show and made it look easy! She is focused, organized, detail oriented, a great “family manager” (you know what I mean), but also completely focused on the meaning of the day and being in the moment. When it came to planning, I was a type A bride… and she knew exactly what to do with me. Each step of the way she was there. Wow! Where do I begin? The BEST, most RELAXING, weekend EVER for a mother of the bride thanks to Meredith and her staff at Blue Fancy Events! I always say that everything flows from the top. Calm, caring, and perfection are some of the words I use to describe Meredith. From the beginning interview to the wedding Meredith was always calm, caring, and detailed to perfection. Every time someone had questions, she was calm, caring, and knowledgable. Her list of vendors that we used made the wedding day flow easily as they are all exceptional at their jobs. The day of Sarah and Max’s wedding was a joy for me. 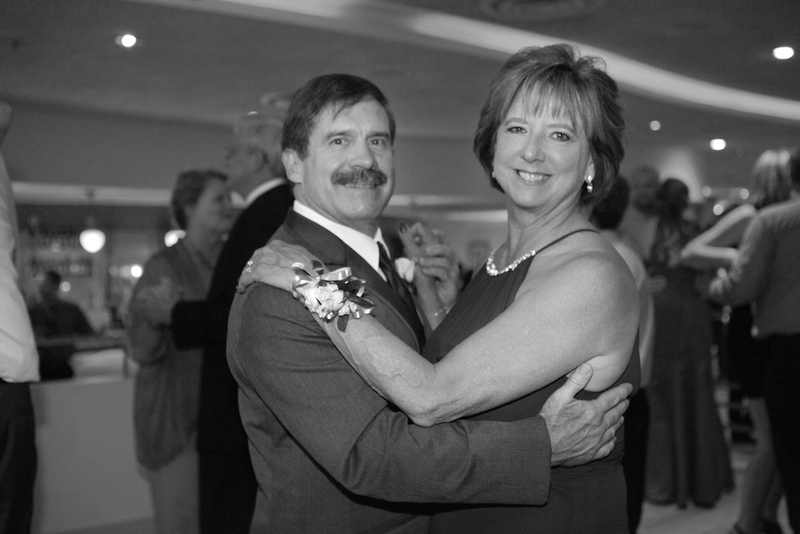 As mother of the bride, and a control freak, I was able to sit back and relax. Meredith, Morgan, and all the Blue Fancy staff had an air of calmness and were outstanding. Your attention all along made us feel as if we were the only people you were working with. You treated us like your family, we knew the wedding would be perfect, and it was. I can’t thank you enough for helping Sarah and Max’s dream wedding come true. Many blessings to you and your family. If you are looking for a wedding planner that offers impeccable service, is extremely collaborative and has all the best qualities of a type A personality… then Emily Martin at Blue Fancy Events is your girl. I do need to add that I am a bit of a control freak… I have a hard time letting people take care of things for me; however, with Emily, I welcomed it. I am so beyond grateful for everything she and her team did for our wedding, she made sure it was nothing short of perfect. Hire Her. It was the best wedding vendor decision we made, hands down! When we were in the process of researching and choosing a coordinator, the choice became very clear after we interviewed Morgan from Blue Fancy Events. She then ended up far exceeding our expectations all the way through the wedding. From the jump, Morgan was extremely pleasant and easy to work with, while also being very organized and knowledgeable. Working up to the wedding, she covered every single detail regarding the timeline and what decisions needed to be made. We were very impressed and happy with Morgan and Blue Fancy’s reliability and professionalism. Their help made us feel little to no stress leading up to the wedding, and especially on the big day. It doesn’t hurt that Morgan is so calming and fun to be around! We highly recommend Morgan and Blue Fancy Events for any and all planning and coordinating needs! Meredith with Blue Fancy events made our wedding more than what we could have dreamed of. We were blown away walking into our wedding! Looking back to the beginning meeting with Meredith she captured our vision immediately by getting to know us as a couple. Through 18 months of planning together, Meredith considered every detail and presented it to us in a step by step fashion which simplified the entire process….even made it enjoyable! While we had a very good idea of what we wanted our wedding day to look like, she also brings an excellent, creative touch and adds many useful suggestions that we hadn’t even considered (and we are glad we did). The amount of anxiety and stress that was reduced through the experience with Blue Fancy was instrumental and allowed us to sit back and enjoy the day. Any service Blue Fancy can provide will be beneficial, but we highly recommend having Meredith involved in as much as you can. Without Meredith our wedding wouldn’t have been the absolute fairy-tale that is was. Having Emily from Blue Fancy as our coordinator was easily the best decision we made during the planning process & of course on the wedding day! In the weeks leading up to our date, she was on top of every detail and made certain nothing was forgotten. She made the whole day feel effortless for us! Our families & wedding party loved her, and all of my bridesmaids said they needed Emily for their own weddings! The best part of it all was that I was able to stay calm and relaxed throughout my wedding weekend and just ENJOY every minute –For that, I will be forever grateful to Emily & Blue Fancy! Kudos to Emily Martin, Lead Coordinator, at Blue Fancy for orchestrating our October wedding reception. What a gift to discover Blue Fancy. From the first meeting to blowing out the candles at the evening’s end, Emily was on top of the details. When the big day arrived, all Tim and I had to do was show up and enjoy. How wonderful is that. Emily alleviated so much work and stress from us. She got us. She was organized. Her aesthetic helped create an inviting, lovely space. And she was a delight to work with. We couldn’t have been happier with Morgan! She helped us with our day of coordination and she made our lives so much easier!! I couldn’t have imagined dealing with all that she did the day of and truly being able to be stress free and being in the moment. Morgan is detail oriented, professional and such a pleasure to be around. She made our wedding day a breeze. I can’t say enough good things about her!!! I have ready referred someone to her and they also love her! Thanks for everything, Morgan! Meredith is the absolute best. We met with Meredith to discuss her “partial service” plan, and knew right away we wanted to work with her. She is warm and friendly, and it is clear that she cares about her clients and about what she does. She took the time to ask us about ourselves and our relationship, our vision for the wedding, and any particular concerns we had. I gave her all of our vendor information and she handled all of the coordination from there on out. She was always easy to reach, and made sure that we always knew what was going on. Absolute perfection. The whole day went incredibly smoothly-I didn’t notice a single issue. Our wedding was almost 6 months ago, and we still talk about how hiring Meredith was the best money spent on our wedding. We are both a little high-strung and typically nervous about other people handling things that are important, but we were instantly comfortable hiring Meredith and are so glad we did. Having Morgan at Blue Fancy as our wedding planner was such a treat. Many of my most organized friends told me after I got engaged that the one thing they would do differently in organizing their big day would be to hire a planner, that it would totally be worth the investment to have a trusted professional make sure the wedding and vendor coordination leading up to it went smoothly – and I listened! I’m a very to-do list oriented person so was a little skeptical of how much assistance we’d really need with planning and let me tell you, you will! As a working professional with a full life, planning a wedding from across the country, I could not have done it without Blue Fancy. Morgan is so supportive, helpful, organized, and easy to work with. Our officiant was a first-timer and friend so even running the rehearsal on my own would have been a challenge with a larger wedding party in tow. My parents and bridesmaids were super impressed with Morgan as well and kept remarking on how beautifully the day went and on all the little details we added to our day. It just wouldn’t have been possible to create the ambiance we wanted while I was busy with hair and makeup and being PRESENT! Thank you, Morgan, for keeping us all on schedule and for not missing a beat. You seriously rock! I cannot even explain how amazing with Blue Fancy Events was! Emily was an amazing Coordinator and made the day come together so perfectly! She was a dream to work with! I could not have imagined a better person to work with to make the day and the days leading up to it perfect! Emily is amazing and what she does and you can tell that she is passionate about making the event everything you imagined it could be! I am so happy that I made the decision to work with Blue Fancy Event! I would recommend them to anyone who is planning an event especially, a wedding! Meredith was professional, organized and fun to have around with our group! She hits all the fundamentals in terms of nailing the details, not leaving anything up to chance, flagging potential issues so they can be resolved and considered prior to the day of the wedding, thinking one step ahead, liaising with vendors, etc., but in addition to all of that, she was a wonderful presence to have around on our day! Our wedding party loved her as well, and could go to her instead of always defaulting to us (it’s amazing how many question you answer in the period leading up to your wedding! 🙂 We had nothing to stress out about on the day of, and could focus on taking everything in and celebrating on our wedding day. I cannot thank Blue Fancy enough for ensuring that all the time and care we put into planning our wedding translated to a beautiful day that went off without a hitch. I really felt we were all on the same page – which proved completely true. Our wedding was amazing and I was truly able to relax and soak in the experience. THANK YOU, Blue Fancy! And to all of you reading this, if you are in the midst of stressful wedding planning and wondering if hiring a coordinator is worth it, it most definitely is! When I started the process of planning our wedding, I quickly became overwhelmed. I knew we needed help and started inquiring with planners. Meredith responded very quickly to my inquiry and suggested we meet in person. I was impressed by her approach, first getting to know us and the situation before she discussed her approach to the planning process. I found her very approachable and genuine, but most important she is so passionate about what she does. Her commitment was to help deliver our idea for our wedding, stick to the budget and keep us on track for important deadlines. She more than delivered on this, from planning to the day of, she had it covered. It was great to have someone do legwork for you, contact vendors, etc, and then simply be able to make the decisions from there. The day went off without a hitch and a great time was had by all. It was a wonderful day and would not have happened without working with Meredith! Blue Fancy Events performed the full service wedding planning for my daughter’s wedding and reception. Throughout the planning, managing and implementation process, Meredith had a professional, business-like, efficient, sincere, but most importantly, a caring approach to engaging the wedding couple and organizing all vendors. Meredith gave us complete peace of mind providing services beyond our expectations. She maintained a feeling of “calm” during a period when stress was the norm and not the exception. Her pride in her work was demonstrated with the quality of the end product . . . a “perfect picture postcard” wedding. Everything ran smooth and every detail got the attention needed for a successful event. We couldn’t have been happier with Blue Fancy Events! When I first met Meredith, she came across very warm, calm and collected with a strong sense of urgency. Immediately, I knew we made the right choice in hiring her as our day of wedding coordinator. My fondest memory is when we were taking pictures on the Cuvee rooftop and my veil swept up in the wind landing on an adjacent rooftop far out of reach. Meredith somehow found an open window and retrieved the veil successfully. Guests were so impressed by her “veil catching” skills. I think she might have even caught a falling table that night too! Super woman! I always knew that planning my wedding would be stressful, but as the date approached I was beginning to really feel it. My maid of honor contacted Blue Fancy about a month before the big day, and I couldn’t be happier that she did! Emily M. was great at helping us keep things organized and on track, but the biggest thing was that she and her assistant Morgan made sure that everything on the big day ran smoothly. They did a fantastic job, which allowed me, my husband, and the wedding parties to not stress about anything and just have fun! Thank you Emily! You were awesome!!! Meredith was always professional, and quick to respond to calls and emails, which was greatly appreciated as we were planning our wedding from Chicago. It gave us great peace of mind to know that our planners were contacting and coordinating with all of our vendors, and on top of passing along payments/tips to the day-of. We had the pleasure of working with Emily Martin at Blue Fancy, which was honestly one of the best decisions we made in the wedding-planning process. Though Emily was our day-of coordinator, she started working on our event a month out, calling our vendors and putting herself on their radar. When the week of the wedding rolled around, her efforts were evident; all of our vendors told us we were ahead of the game and in great shape—mostly due to Emily’s work and communication. The best part? It all happened effortlessly behind the scenes. Emily did everything we asked and then some. On top of that, she was incredibly professional, patient and poised. I would not hesitate to recommend her in the future. Thank you so much, Emily! You made our wedding day feel so effortless. Meredith was an absolute dream to work with! Me and my now husband are very DIY people. We wanted an relaxed, outdoor, fun wedding, and she helped us every step of the way. She helped us figure out what we need, how to get items, and what we can expect for the day of. She even thought about the very tiny details that made all the difference in the world that day. Most importantly, she was by our side for our wedding day. I do not know what I would have done without her. She arrived early at the venue to help set up and to make sure everything was in the correct spot. It made me feel so relaxed knowing she was in charge and I didn’t need to worry about another item, only thought about walking down the isle and enjoying the moment. The day was a dream come true for the both of us and Meredith helped make it all possible! My sister’s wedding was the first wedding I have been involved in that had a wedding planner. I honestly do not know how Lee & Chris could have done this without Blue Fancy Events! Meredith never strayed from the bride’s vision throughout the entire planning process. She also spent countless hours with my sister & mom preparing for her big day. All trust was put in Meredith from the rehearsal & Friday night festivities onto the wedding day. She never fell short of my family’s expectations. Even the morning after the wedding, her assistant was at the hotel to assist us with whatever we needed. Morgan was great, extremely organized, and was perfect for everything my wife and I needed on our big day. Several vendors complimented us on how easy Morgan made their lives, and we couldn’t have asked for anyone better! Meredith’s dedication to making my vision come true was obvious from our first meeting. She was attentive to our needs, highly reliable, and most importantly…passionate about her work! She went above and beyond on the weekend of our wedding. From running the rehearsal when we had a last minute officiant change, to bringing us coffee on the wedding day, to taking care of all the decorations at the end of the night..she had all the right touches to making our weekend perfect! Meredith’s customer service and commitment to us and our family is exactly what we needed! We couldn’t have done it without her!! Use Blue Fancy Events if you want the wedding of your dreams! As the maid of honor for my best friend’s wedding, I was involved in the planning process from the beginning. As tasks and questions started to pile up it became clear that we needed a little help.  We decided to work with Blue Fancy based on their stellar reviews and I’m so glad we chose them. Emily was the ultimate day-of coordinator! She was available for questions day or night and made the planning process super easy. I’m convinced we could not have pulled off this very DIY wedding without her. She made it run so smoothly and we didn’t have to worry about a thing. I highly recommend this very talented lady! Blue Fancy is WONDERFUL! As parents who had co-planned a previous wedding without the benefit of a Wedding Planner, we assumed Leanne’s destination wedding would also be manageable. From the time Meredith began working with us, until the last guest departed from the reception, we realized just how much she contributed to the event in ways we could never have imagined. Meredith was personable, socially perceptive, and displayed a constant level of positive energy and enthusiasm from the beginning. She demonstrated professionalism in working with vendors, willingly offered and provided services to us above and beyond our expectation, and identified areas of potential problems and pre-planned effective solutions (and yes, there were problems that occurred ……each one, resolved flawlessly). Most importantly, Blue Fancy gave us complete peace of mind from start to finish! We were able to spend time with family, visit with guests, and enjoy wedding events throughout the entire weekend, confident that we did not have to be “on call”. We would recommend Blue Fancy as one of the most professional wedding and event planners in the southeast Wisconsin area. Had I known a wedding planner was an option at all I would have hired her back when we started planning. If there was a problem, we never heard about it, which was exactly what we needed on our wedding, no stress. Meredith had ideas that I had never even thought of and she was so organized and knowledgeable about weddings and what went into them. To this day people compliment me on how awesome our wedding planner was and how our wedding had such a great flow and was so organized, to which I owe my thanks to our fantastic wedding planner. I’m sad that I won’t be working with Meredith anymore, she really felt like not only our wedding planner, but our friend. She worked magic and had the personality and ability to take my stress away.